This summer, the Museum of Latin American Art is opening its doors after sundown once a month to exhibit another form of cultural art: Latin American music. 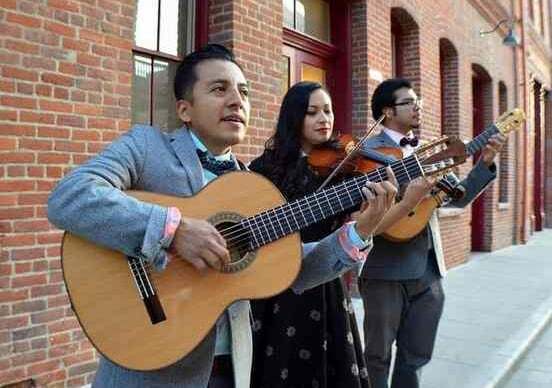 Saturday, the Long Beach venue launches En La Noche, a summer series that invites people to a night at the museum to explore the various sounds of Latin American music with live performances by local bands. “What really excites me about this is being able to introduce the audience to a new type of music they may not have heard,” said Jennifer Alcantara, events specialist at MOLAA and organizer of the summer series. 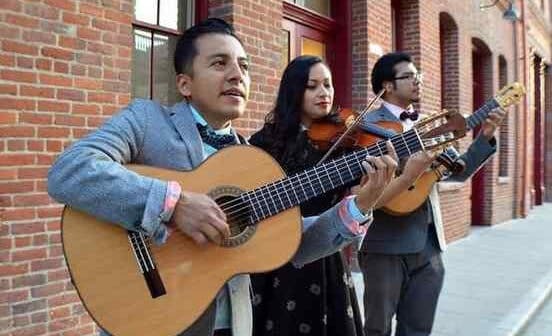 It all starts with a look at the romantic slow-paced boleros with music from the East L.A band Tres Souls, and son jarocho, a form of folk music that mixes indigenous, African and Spanish elements performed by Los Cambalache. The museum galleries will be open during En La Noche as the music goes on in the venue’s sculpture garden, where a “casual light festival” atmosphere will include cultural vendors and food trucks. But for museum officials, the night is as much about education as it is about entertainment. The series begins with the 1940s and ‘50s romantic sounds of the trio Tres Souls, founded in 2010 by 32-year-old guitarist Roberto Carlos. “What we do is celebrate and preserve the genre of bolero music. We define it as reliving the songs and the sounds of the 1940s,” he said. While the band follows the pattern of the boleros, which are greatly influenced by Afro-Cuban music, the musicians also like to express how they feel in the moment with impromptu jams. “What I love about this music is how poetic it is in its lyrics and the music,” Carlos said. The trio has performed at places like the Broad Stage and will be recording a demo later this year. “I think boleros are really important. They’re more intimate and something that’s really dominant in the Latin scene,” Alcantara said.